Publisher: Bibliography: p.Cataloging based on CIP information.Reprint of the ed. published by Fathers of the Church, inc., New York, which was issued as v. 35 of the Fathers of the church, a new translation..
Bibliography: p.Cataloging based on CIP information.Reprint of the ed. published by Fathers of the Church, inc., New York, which was issued as v. 35 of the Fathers of the church, a new translation. 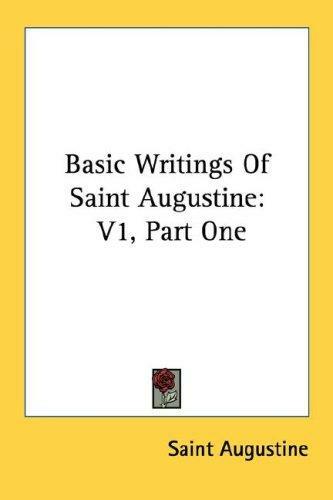 "Writings of Saint Augustine, v. 16, Fathers of the church ;, v. 35." serie. Augustine was born in Thagaste (present-day Souk Ahras, Algeria), a provincial Roman city in North Africa, the son of a Catholic mother and pagan father. He was raised a Catholic, and at age of 11, he went to school at Madaurus, about 19 miles south of Thagaste. There he learned both Latin literature and pagan beliefs and practices. He returned home in 369 and stayed for about two yeras, reading Cicero's dialogue Hortensius. At age 17 he went to Carthage to continue his education in rhetoric. He decided to follow the Manichaean religion, lived a hedonistic lifestyle for a time, and took a lover who stayed with him for over thirteen years and gave birth to his son. 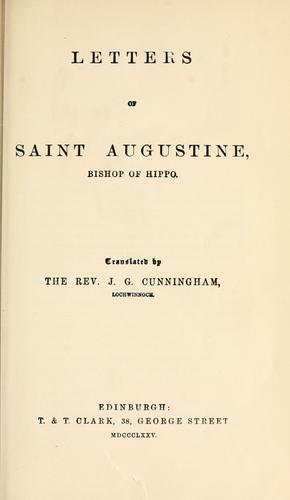 In 373-374, Augustine taught grammar at Tagaste. In 375 he moved to Carthage to conduct a school of rhetoric. In 383 he moved to Rome to establish another school. However, he was disappointed with the Roman schools, and instead of paying their fees, his students fled. Through his friends he obtained a professorship teaching rhetoric at the imperial court at Milan in 384. The young provincial won the job and headed north to take up his position in late 384. While in Rome, he turned away from Manichaeanism in favour of the skepticism of the New Academy movement. He became engaged and left his lover, but never married the girl to whom he had been engaged. In 386, converted to Catholic Christianity, left his career in rhetoric, devoted himself to serving God. He returned to north Africa, sold his patrimony and gave the money to the poor, and converted his family house into a monastic foundation. In 391 he was ordained a priest in Hippo Regius (now Annaba, Algeria). He became a famous preacher, and in 396 he was made assistant bishop and then full bishop shortly after. He left his monastery, but continued to lead a monastic life in the episcopal residence, and he remained Bishop of Hippo until his death in 430. 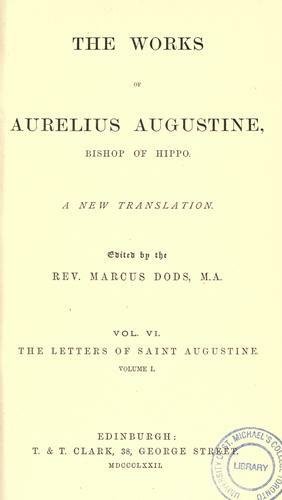 Augustine was one of the most prolific authors of his time in surviving works, which number more than a hundred. Of these, the most well known is his Confessiones, written in 397-398. Find and Load Ebook Against Julian. The Fresh Book service executes searching for the e-book "Against Julian." to provide you with the opportunity to download it for free. Click the appropriate button to start searching the book to get it in the format you are interested in.